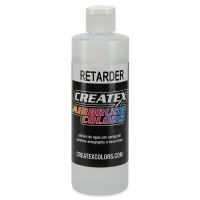 Use these additives and mediums with your Createx Airbrush Colors to create unique and different effects. Retarder — Designed to extend open or drying time. Good in dry climates. 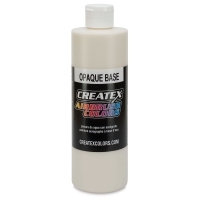 Opaque Medium AB — Makes the Transparent Matte Airbrush Colors opaque. Extends the Opaque Airbrush Colors to lighter values without affecting opacity. Not for use with Fluorescent and Pearlescent Colors. Non-toxic, waterbased. Clear Coat — This durable waterbased acrylic clear coat dries to a level, hard, transparent coating. Use it for top-coating Createx Airbrush Colors. 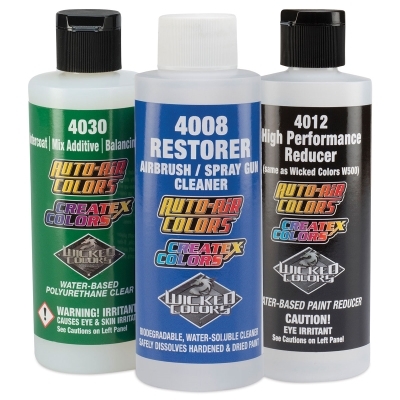 It protects paint in both outdoor and indoor environments, making it perfect for models, sign painting, and more. Choose a gloss or matte finish. 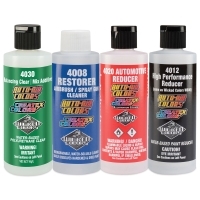 Createx Colors Additive Set with 4020 Automotive Reducer — This set includes one 4 oz bottle each of the following additives: 4008 Restorer, 4012 High Performance Reducer, 4030 Intercoat Clear, and 4020 Automotive Reducer. Createx Colors Additive Set — This set of three versatile additives includes one 4 oz bottle each of 4008 Restorer, 4012 High Performance Reducer, and 4030 Intercoat Clear. 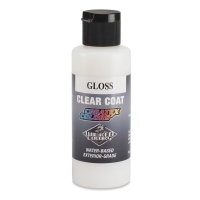 Top Coat — Use this as a protective coating at the end of your projects. Simply spray it over your finished airbrush design when dry. This waterbased, clear acrylic topcoat works well on fabric, leather, canvas, and more. It's compatible with all Createx Colors airbrush paints. Choose a gloss or matte finish. Transparent Base — Use this colorless resin base to thin Createx Colors and increase their transparency. 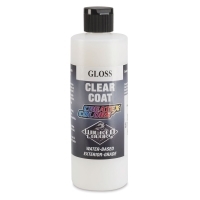 It can also be used as a light protective coating over airbrush paints. Or, apply it to fabric before painting for smoother application. Createx Airbrush Colors are the most widely used professional airbrush paints in the world. They're made with lightfast pigments, durable resins, and quality ingredients for permanent results. 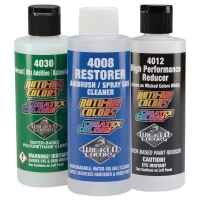 These waterbased airbrush colors are designed for textiles and most other applications, including wood, leather, ceramics, canvas, aluminum, plastic, glass, and more. They dry to a matte finish and leave fabrics soft to the touch.